KUALA LUMPUR, MALAYSIA - AUGUST 31, 2018: View of cloud movement over building sky tower. 4k00:25KUALA LUMPUR, MALAYSIA - AUGUST 31, 2018: View of cloud movement over building sky tower. 4k00:184k time lapse of sunrise night to day at Kuala Lumpur city skyline. 4k00:07Night scene of Kuala Lumpur city skyline. Time lapse. 4k00:15KUALA LUMPUR, MALAYSIA - MARCH 17, 2019: 4K Cinematic Sunrise Zoom In Time Lapse Footage of Kuala Lumpur city skyline from the west side of the Malaysian capital. 4k00:15KUALA LUMPUR, MALAYSIA - MARCH 17, 2019: 4K Cinematic Sunrise Time Lapse Footage of Kuala Lumpur city skyline from the west side of the Malaysian capital. 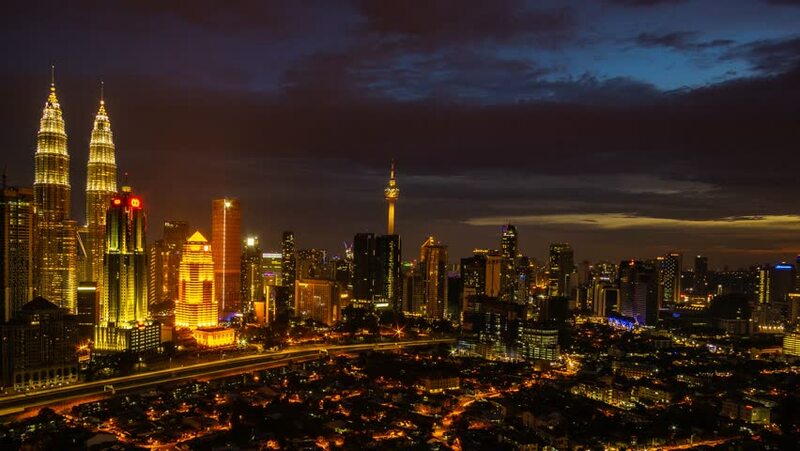 4k00:20KUALA LUMPUR, MALAYSIA - MARCH 17, 2019: 4K Cinematic Sunrise Time Lapse Footage of Kuala Lumpur city skyline from the west side of the Malaysian capital.